In October 2016 Cats Protection is running a very exciting event – a Zambezi River challenge and lion conservation project. Participants will be helping the project save the African lion population which has fallen by 80 to 90 per cent since 1975. The project takes a multi-disciplinary, long-term and responsible development approach to lion conservation and works closely with local communities, policy makers, conservation managers and business leaders to implement sustainable conservation of lions while meeting the challenges of local people living alongside a natural predator. A key part of the conservation of lions is the reintroduction of lions into the wild. Part of the project’s research involves understanding the relationships between individual lions in the pride. 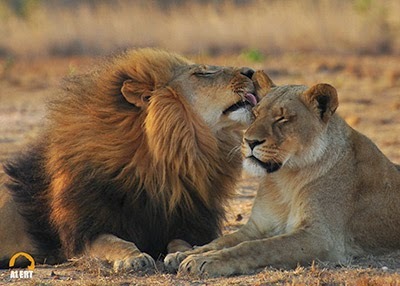 It’s essential that there are socially cohesive and stable prides for lions in the release stages of the program and so the research focuses on their social interactions such as greeting, play and social licking. Participants in the lion conservation project will spend three days helping on a range of tasks, which may include a snare sweep – which is important to protect the animals from illegal poaching – meat preparation, cub feeding and enclosure cleaning. There will also be plenty of opportunities to learn more about the lions such as how to interpret their behaviour, studying aggression levels at feeding times, observing social interactions between pride members and learning about body condition and health. On one of the days there will be a visit to the Dambwa Forest enclosure, home to the oldest lions at the conservation project. You will be shown the pre-release training site where the lions spend their evenings practising their hunting. If you’re lucky you may spot some of the lions stalking and hunting the prey in the enclosure. This video shows the lion rehabilitation into the wild volunteering program which is run in partnership with the African and Environmental Research Trust (ALERT), alongside African Impact. Volunteers on this project are actively involved in lion research, care and conservation as well as various community initiatives in surrounding areas and live just a stone’s throw away from the mighty Victoria Falls. The money raised in sponsorship by participants in the challenge event will go towards helping Cats Protection care for thousands of cats and kittens every year through a large network of volunteer branches and adoption centres.